Hostel Domus Academica has central location in Kamppi. There are many shops, restaurants and sights near Hietaniemi beach. The tram and bus stops are close and the train and metro station are within walking distance. If you arrive by car, please inquire about parking spaces in our parking garage by contacting the hostel reception. There is a limited number of spaces. Parking costs 20 € / day. In case you are more into cycling , we have a bicycle storage room – free of charge for our guests. There are many beautiful cycling routes in Helsinki! Cycling is also more environmentally friendly – if you are interested, read more about sustainability on our Responsibility section. a) Take a Yellow Line airport taxi to our hostel (1-2 persons total 29,50 euros). At the airport contact the Yellow Line service desk to arrange it. b) Take a regular taxi to our hostel (approximately 45-55 euros). c) Take a P or I train from the airport to the Central Railway Station (5,50 euros per person). d) Take a Finnair airport bus to the Central Railway Station (6,30 euros per person). e) Take a regional transport bus 615 or 620 to the Central Railway Station (5,50 euros per person). a) Take a tram number 2 towards “Länsi Pasila” from the stop “Lasipalatsi” in front of the big department store “Sokos”. Our tram stop is called ”Kauppakorkeakoulut – The Schools of Economics”. It is the second stop from Lasipalatsi. The tram turns to the right, but keep on walking straight ahead. Turn left to the street called Lapuankatu and walk down the street until you reach Hietaniemenkatu -street. Turn to the right and walk along Hietaniemenkatu -street almost until the end of the street. Hostel Domus Academica is on your left. b) Take a metro towards “Ruoholahti” from the Central Railway Station and get off on the next station called “Kamppi”. Take the escalator going up to the exit on Runeberginkatu -street and turn right. Walk along Runeberginkatu -street until you pass Hotel Helka and reach a smaller roundabout. From the roundabout take Hietaniemenkatu -street and walk almost until the end of the street. Hostel Domus Academica is on your left. c) (By foot) Walk one block straight ahead along Arkadiankatu-street, which starts from Kiasma (the Museum of Contemporary Art), and continue going left on the street Pohjoinen Rautatiekatu. Walk along Pohjoinen Rautatiekatu, until you reach the above-mentioned small roundabout. Take the Hietaniemenkatu- street and you will find Hostel Domus Academica on your left at the end of the street. Take tram number 4 to “Senaatintori – The Senate’s Square” (right after the Helsinki Cathedral church – the big white church) and change to tram number 2 towards “Länsi Pasila”. Get off on the stop called “Kauppakorkeakoulut – The Schools of Economics”. The tram turns to the right but keep on walking straight ahead. Turn left to the street called Lapuankatu and go straight ahead so you reach our street, Hietaniemenkatu. Walk along Hietaniemenkatu -street to the right. Hostel Domus Academica is on your left. Take tram number 2 towards “Länsi Pasila” in front of the terminal and get off at “Kauppakorkeakoulut – The Schools of Economics”. The tram turns to the right but keep on walking straight ahead. Turn left to the street called Lapuankatu and go straight ahead so you reach our street, Hietaniemenkatu. Walk along Hietaniemenkatu -street to the right. Hostel Domus Academica is on your left. Take tram number 7 and get off at “Kampintori”. Walk back to the roundabout that the tram just passed and start walking to the right along Runeberginkatu -street until you pass Hotel Helka and reach a smaller roundabout. From the roundabout take Hietaniemenkatu -street and walk almost until the end of the street. Hostel Domus Academica is on your left. The public transportation ticket costs 2,90 euros when you buy it from a ticket machine. Ticket machines are located in the metro stations and central tram stops. Full routes and maps can be found on the HSL website www.hsl.fi/en. 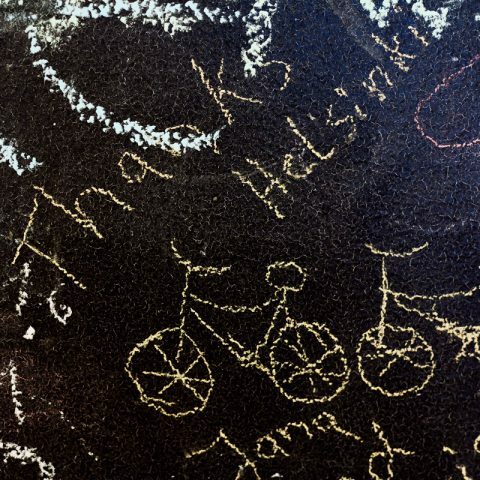 Helsinki is a perfect place for cycling due to many cycling routes around the city and seashore. Ask about renting a bicycle from our reception and we will point you a few good choices around the area. You can also easily store your bicycle in our locked bicycle storage room free of charge. There are also various outdoor walking routes around the region. You can find more specific route directions by checking the cycling and outdoor map.